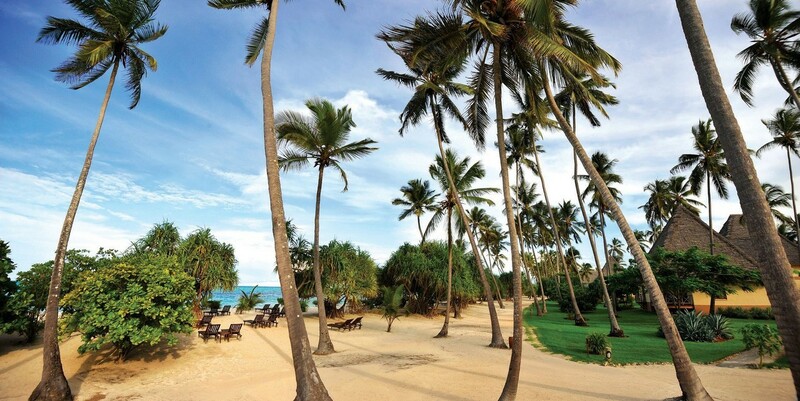 Neptune Pwani is situated on Kiwengwa, one of the best beaches in East Africa. 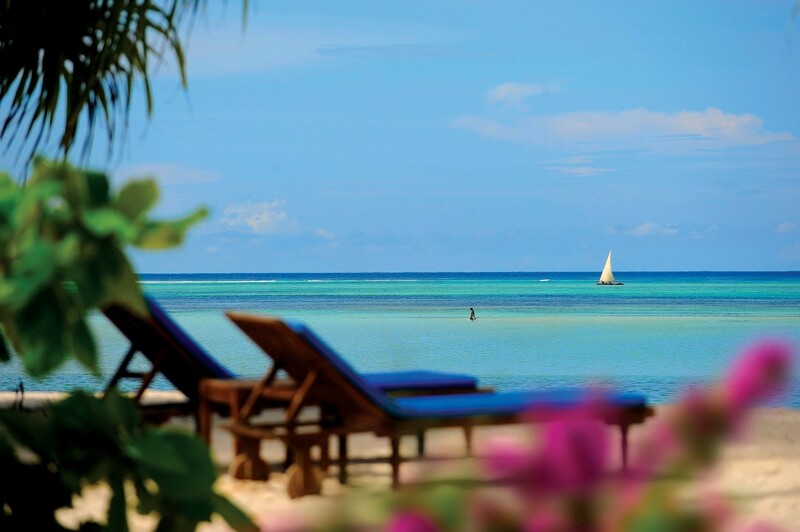 With breath-taking vistas over the exquisite Indian Ocean, it provides a spectacular setting for all kinds of Zanzibar vacations. 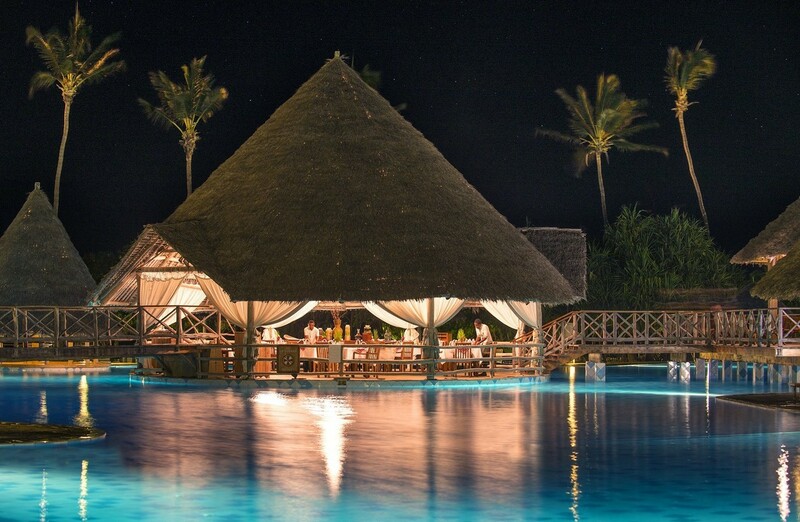 The entire resort is decorated using Swahili themes and styles. 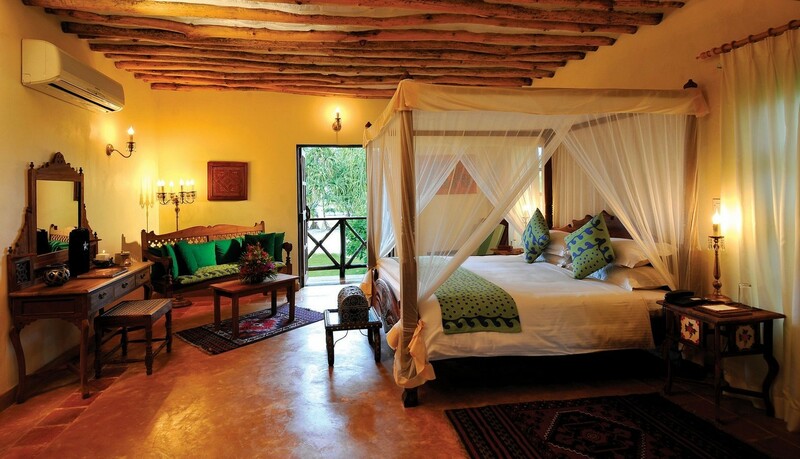 The rooms are decorated in the same beautiful Swahili style as the rest of the resort, with the added choice of Indian and Colonial themes for the VIP suites. The Deluxe Rooms are on two level blocks and have a terrace with an ocean view. The Sea View Rooms are located at the top of the resort on the Cliffside. 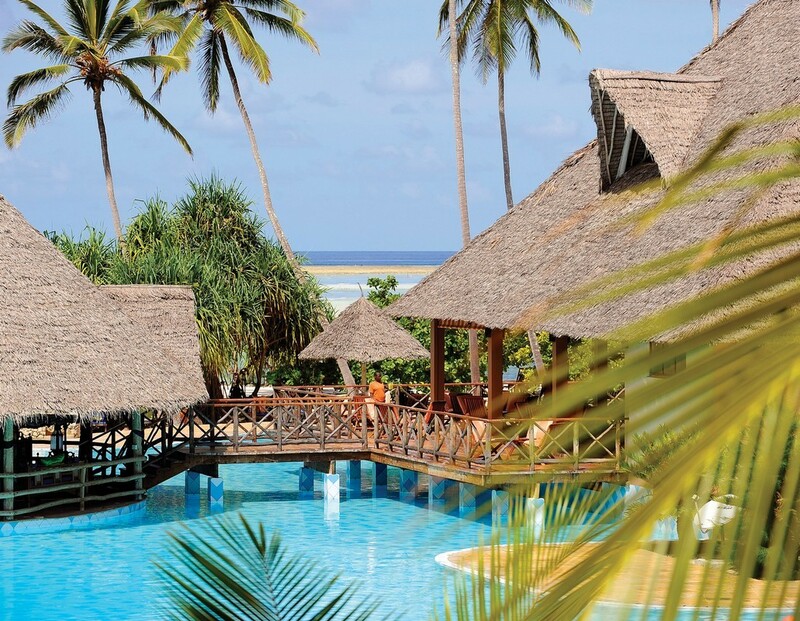 The Deluxe Sea Side Rooms are located on the beach level. 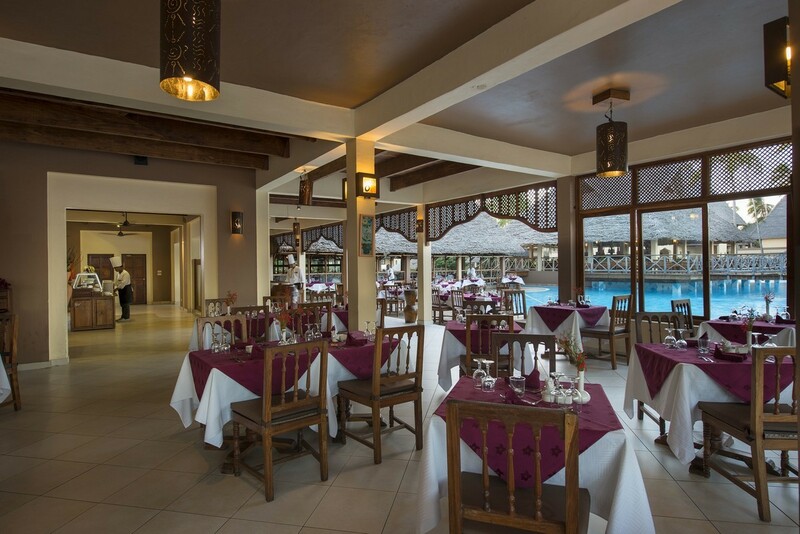 With outdoor dining facilities, serves lavish buffets for breakfast, lunch and dinner. Special theme nights are organized on a weekly basis with a fusion of light and tasty international cuisine and favourite local dishes. Serves seafood and fusion cuisine accompanied by refreshing cocktails in refined and peaceful surroundings. The restaurant opens only for dinner and reservations are essential. Serves fresh baked pizza and soft drinks, fruit juices, beer, house wine for dinner. Dining is included in the All Inclusive package once per stay. Offers cool drinks and snacks throughout the day, afternoon tea and a variety of cocktails and drinks. Open from 10h00 to midnight. 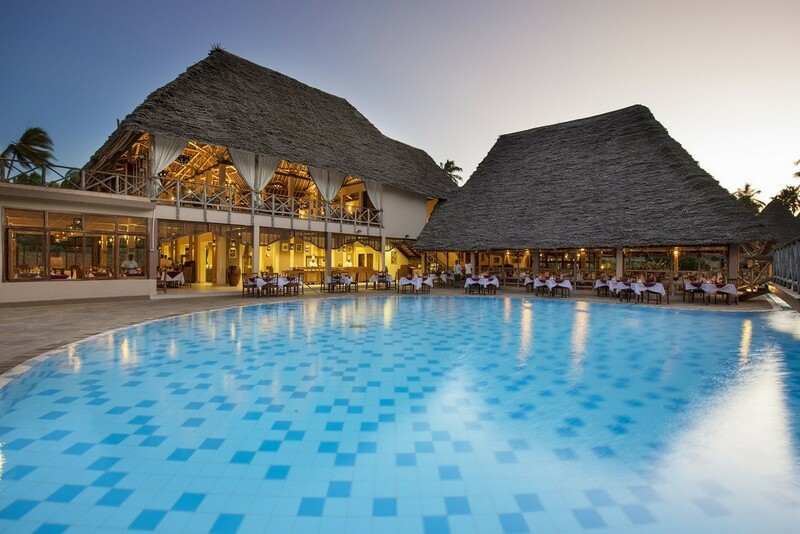 The bar sits in the middle of the swimming pool overlooking the ocean and serves a wide selection of soft drinks, wine, beer, cocktails and local spirits. Open from 10h00 to 17h:30.